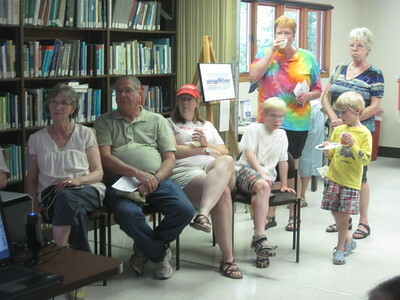 On Friday, August 5th, 2011, Trout Lake Station opened its doors to the public for its first Open House in a long time. 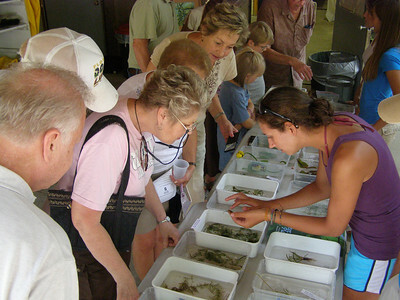 120 visitors passed through that afternoon, taking time to talk with researchers, ride a "research" boat out onto Trout Lake, see invasive and native species up close and enjoy a gorgeous day. 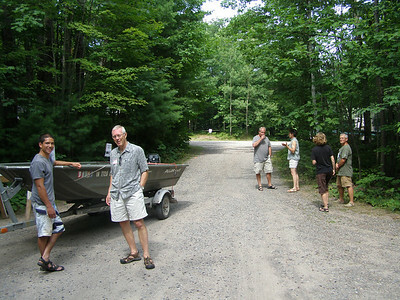 Greeters wait in the driveway to direct visitors inside. 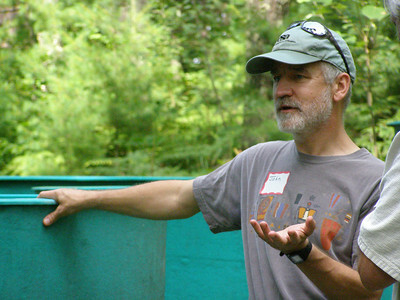 Special thanks to the UW Foundation's Chris Glueck and summer Lane Fellow, Tracy Stacy. 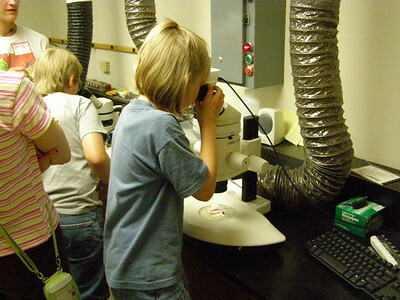 Using the Station's microscopes, a young visitor checks out the zooplankton she pulled out of Trout Lake in a plankton net. 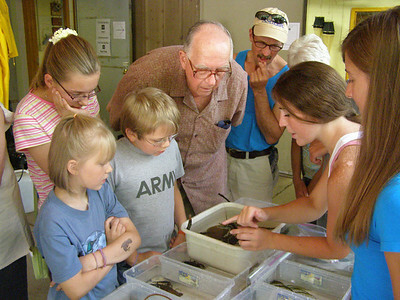 An undergraduate student shows visitors some of the native and invasive "look a-likes" from area lakes. 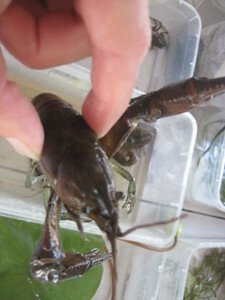 Students Amanda Brown and Lindsey Bruckerhoff explain how to spot a rusty crayfish to a visiting family. 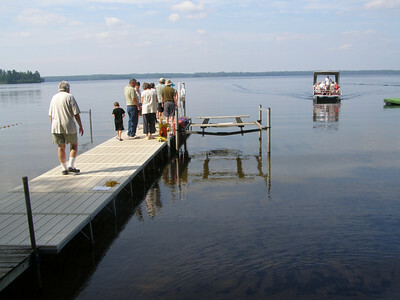 Visitors wait for the next pontoon boat "research" excursion out onto the lake while new visitors show up via Jetski. 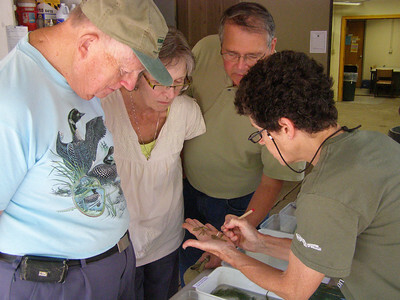 PhD candidate Ashley Baldridge shows a family her experiment-in-progress involving rusty crayfish. 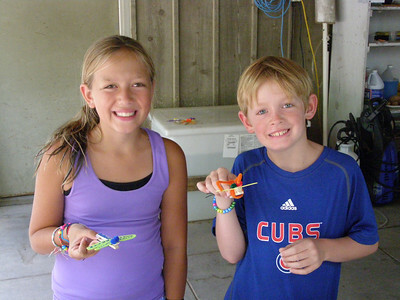 Maggie and Joe Masterson, who came with their grandmother, Nancy, show off the dragonflies they made at the craft station. 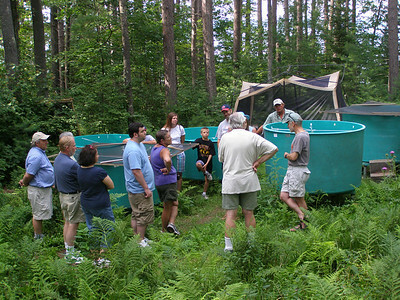 Susan Knight explains how to tell the invasive Eurasian water milfoil from Wisconsin natives. 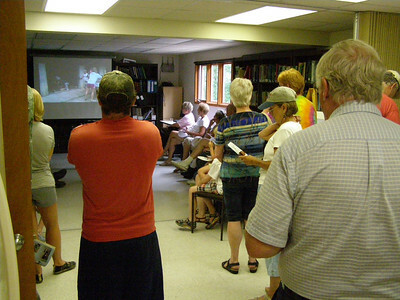 Interim summer director, John Havel, speaks to a group about his "air drying" experiments on invasive species. 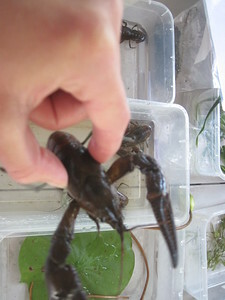 In the course of running air tolerance experiments with invasive snails and plants, Havel, Susan Knight and a team of undergraduate students has found that some snails can survive being out of water for weeks. 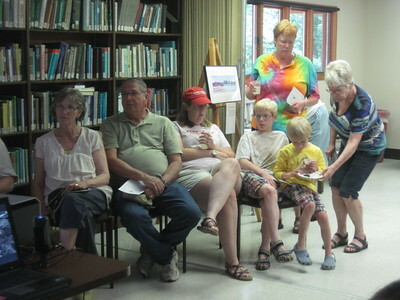 A group of visitors takes a look at a running experiment testing how long certain invasive snails, crayfish and plants can survive out of water and, presumably, on board any of the boats that visit Wisconsin lakes every year. 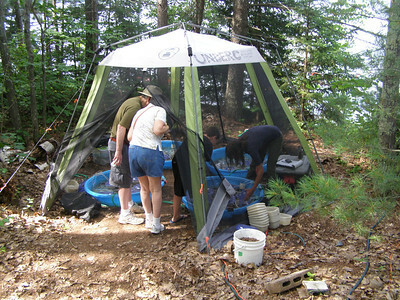 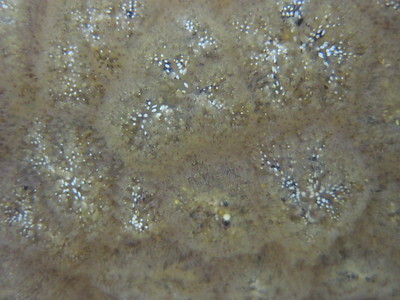 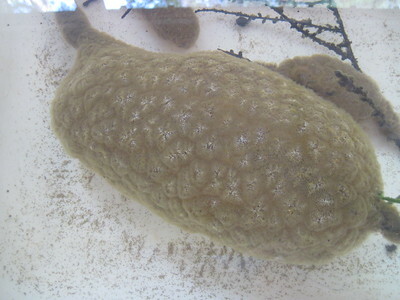 John Havel and Susan Knight, along with a team of undergraduate students, are running the experiment. 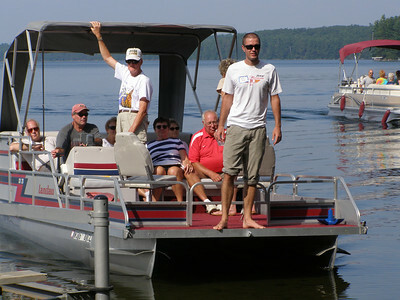 As a boat returns from it's "limno" expedition on the lake, visitors line up for the next departure. 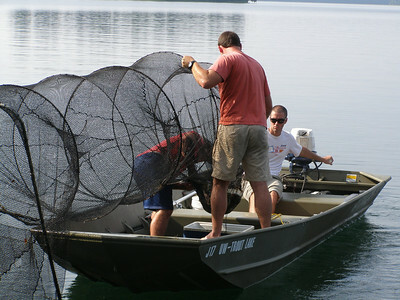 Zach Lawson, Eric Brown and Jordan Read get in position to lift the fyke net's trap on board, relieved to see quite a few smallmouth and bluegill wriggling in the net. 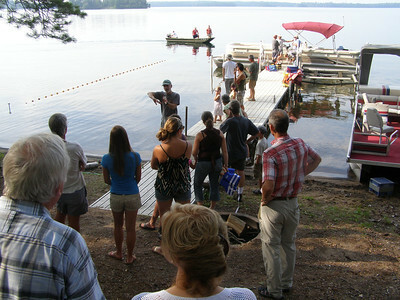 Trout Lake Station's summer director, John Havel, explains how a fyke net works as a crew prepares to haul one out of the lake. 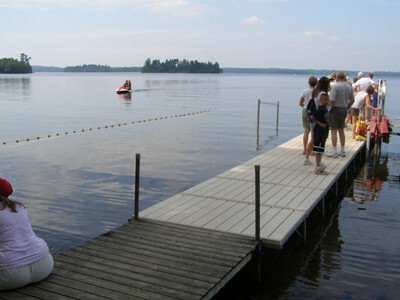 Visitors on shore watch as the crew checks the fyke net. 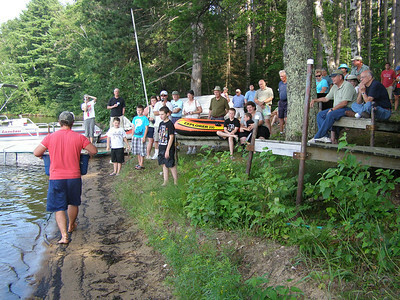 Zach Lawson opens the net and puts a number of the fish in the live well to bring back to shore. 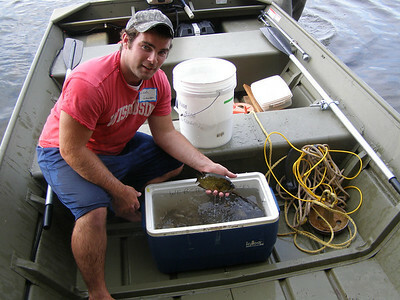 Station research technician, Zach Lawson, shows off part of the catch. 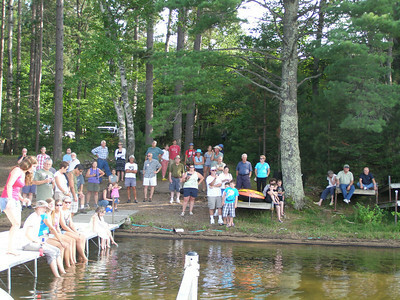 Visitors line the shore, waiting to get an up close view of the "daily catch" carried in Zach's cooler. 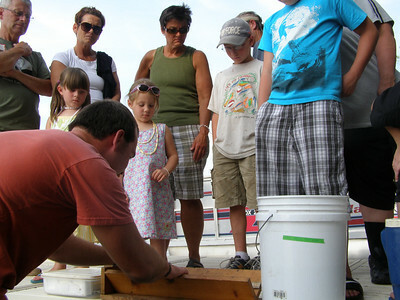 Research technician, Eric Brown, demonstrates how fish are weighed and measured as a crowd looks on. 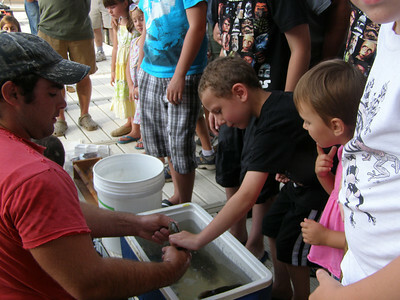 Kids get a chance to feel the fish before they're released back into the lake.